Since the size and shape of everyone’s ears are unique, it would be unrealistic to expect all hearing aids or earplugs to fit the same on everyone. To ensure a proper fit, the best solution is custom earmolds and earplugs. Colorado West Audiologists offers custom-fits earmolds for many hearing aid styles; we also custom-fit specialized earplugs that musicians and other hobbyists wear to protect their hearing while still pursuing their careers or favorite pastimes. Composed of a soft plastic or acrylic material and worn in the ear canal or concha of the ear, customized earmolds provide precise fit and comfort for hearing aid wearers. To make custom earmolds, your audiologist will first take silicone impressions of your ear canals and outer ears. These impressions are created into molds at an offsite lab. Musicians have unique needs when it comes to hearing protection. They need to protect their hearing, but they also need to be able to hear their own and others’ music and voices clearly while performing. Conventional earplugs protect listeners from damaging decibel levels, but they also tend to muffle speech and music sounds musicians needs to hear. The mid-to-low-frequency protection musicians need is accomplished with specially-designed earplugs that come with either ready or custom-fit earmolds. Ready-fit musician earplugs can reduce sound levels by approximately 20 dB – enough to reduce harmful sound without distorting speech or music. Dome earmold:. Soft earmolds designed specifically for use with Behind The Ear (BTE) hearing aids. Canal earmolds: Earmolds designed for use with In The Canal (ITC) hearing aids, these are placed deep in the ear canals. Full-shell earmolds: Large earmolds made to fill most of the ear canal, these are helpful at reducing feedback and benefit patients with moderate to severe hearing loss. Half-shell earmolds: Similar to full-shell earmolds but made with only a bottom shell, these are worn in the concha of the ear and are best suited for mild hearing loss. Skeleton earmolds: Similar to full-shell earmolds but made with a hollow center for better comfort, these are held inside the concha with a strip of material that provides a tight but comfortable seal, these are beneficial for patients with mild-to-severe hearing loss. Semi-skeleton earmolds: Similar to skeleton earmolds, but missing the back ring, these are a good alternative for people with manual dexterity problems. Musician's earplugs are available in both custom and non-custom options. They sit deep to allow the earmold to seal within the bony portion of the ear canal. This deep fit reduces occlusion, the hollow or booming sound of the musician's own voice that can become a distraction while practicing and performing. Besides musicians, these types of earplugs are a popular option for others who want to enjoy listening experiences without damaging their hearing. Others who can benefit from musician’s earplugs include sound crews, DJs, band teachers, recording engineers, concert-goers, airline personnel, sports careerists, motorcyclists, medical professionals and industrial workers. Why choose custom earmolds or earplugs? As most of us know from experience, one-size-fits-all promises rarely pan out. 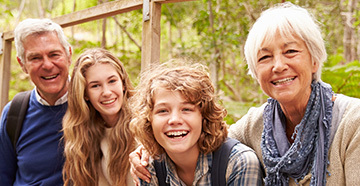 If you’re investing in hearing aids to improve your ability to communicate or purchasing earplugs to protect your hearing, you’ll want a comfortable fit and tight seal. The ear impression used to make the earmold or in-ear monitor is the most important part of the process in getting a good custom fit. 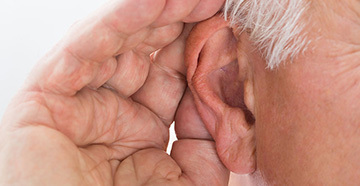 The quality of the ear impression material and technique directly impacts the sound quality, sound isolation and comfort achieved with the earmold. Because this part of the process is so crucial, it's important that you hire someone who is experienced and trained in making impressions for high-quality hearing aid earmolds and earplugs. Earmolds for hearing aids and earplugs can be custom-fit your unique ear shape by our audiologists. Talk to your audiologist about their experience custom-fitting patients with musician's earplugs and about your options for high-quality occupational hearing protection.